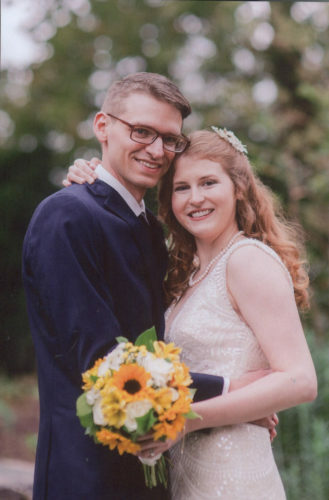 Rachel Renee Halley and William Otto Merriman Jr. were united in marriage on Aug. 13 at Marietta Shrine Club. Fred Shreve, brother of the groom, officiated the double-ring ceremony. 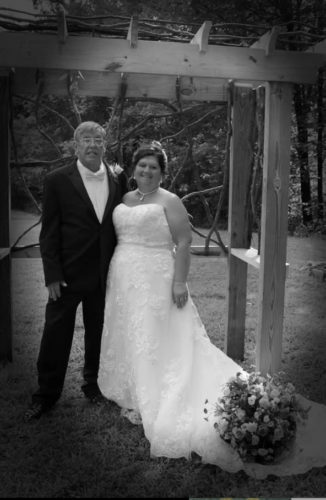 The bride is the daughter of Mark and Joyce Halley of Parkersburg. She is a 1999 graduate of Parkersburg High School and is employed by First Neighborhood Bank of Parkersburg. 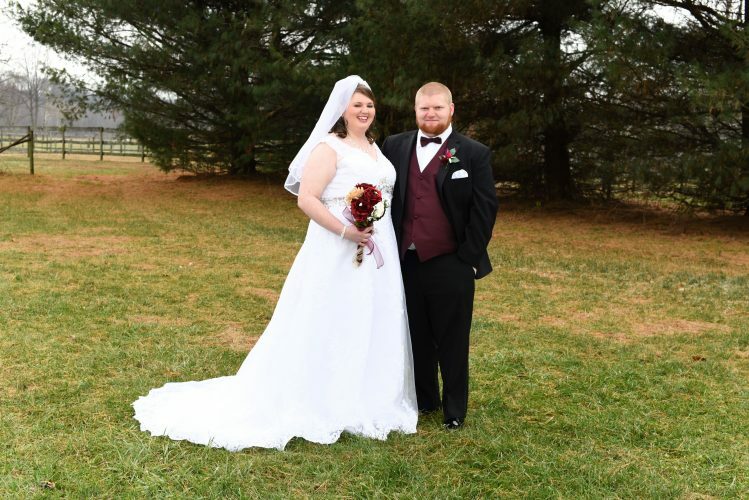 The groom is the son of Anna Ruth Merriman and the late William Otto Merriman of Parkersburg. He is a 1987 graduate of Parkersburg High School and a 1996 graduate of Capital University Law School in Columbus. He is a practicing attorney in Parkersburg. Given in marriage by her parents, the bride was escorted by her father. She wore an ivory fit and flare gown made of beaded lace appliques on Chantilly Lace over soft tulle. The dress featured a sweetheart neckline and cap sleeves. Delicate eyelash fringers were along the entire front and back neckline. Grace Najarro-Burk of Vienna, friend of the bride, served as matron of honor. Junior bridesmaids were Savannah and Sophie Merriman, daughters of the groom, and Savanna and Sydney Hamilton, nieces of the bride. 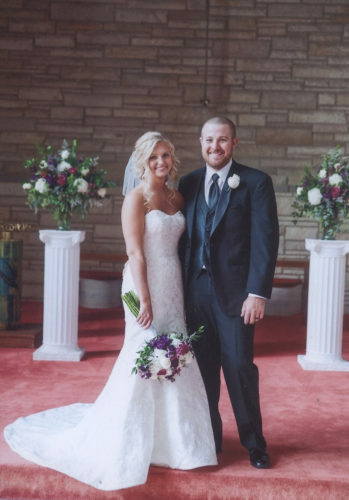 Ashlyn Halley, niece of the bride, served as flower girl. Justin Halley, brother of the bride, escorted the mother of the bride down the aisle. Dinner and dancing followed the ceremony at the Shrine Club. The wedding cake was 3-tier, with different flavored layers and buttercream icing. 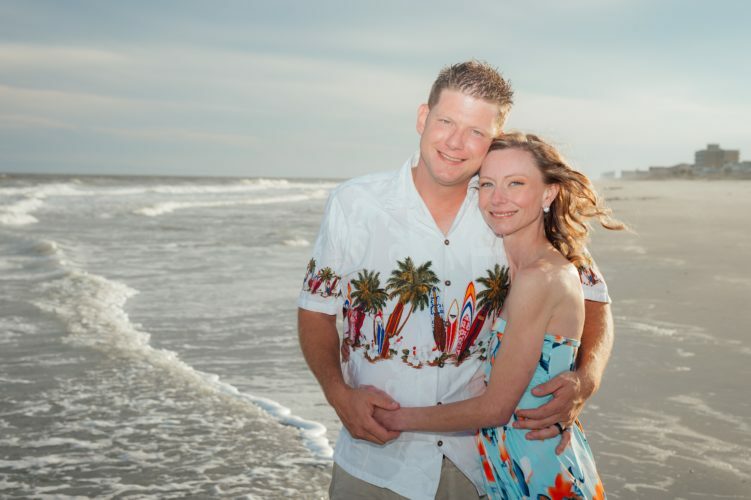 After a honeymoon to Cherry Grove, S.C., the couple resides in Parkersburg.